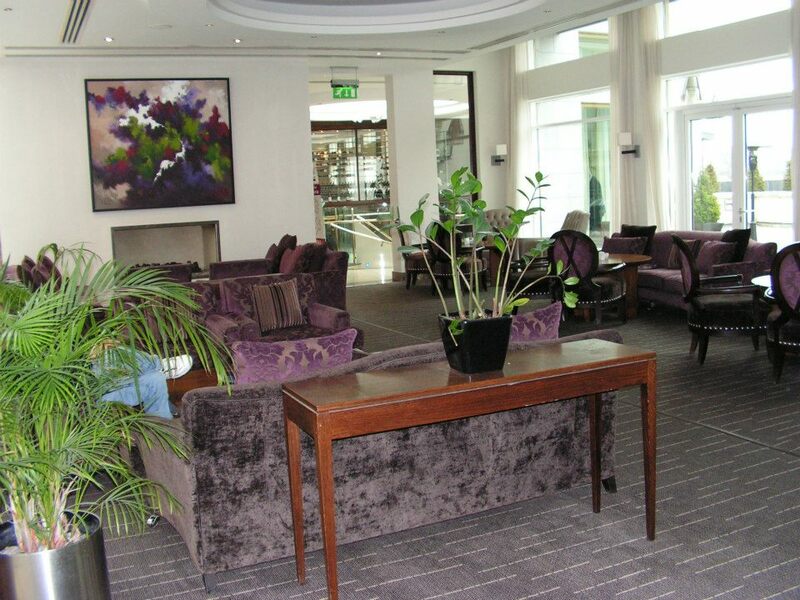 Are you due for a maintenance check? For the past several weeks our home computer had not been running very smoothly. There were many delays when trying to pull up pages, pages freezing and programs refusing to open. Though I knew it needed to be done I just kept putting off running a maintenance check. Today I did it. It was very necessary. It has cleaned up a number of issues. I couldn’t help but think it is similar to our need for a spiritual maintenance check every now and then. When life gets hard or too busy and we find our intimacy with Christ lagging, our thoughts become negative and confusing and too often we turn to other things to fill the emptiness we are sensing. We may turn to facebook, online games, tv or other sources of quick fix comfort when what we really need to do is spend time in our Bibles and talking to the lover of our soul! There is no substitute for time spent with Him. Other time fillers cannot bring about the change we need in our hearts. They cannot restore our joy or peace. They cannot prepare us for what He has in store for us today or tomorrow. Only spending time in His Word and in His presence in prayer can do that. If you find yourself spiritually running on empty, turn off all your gadgets and get alone with your Bible and Savior. Nothing will fill that emptiness you are feeling but Christ. He made us that way!. Ask Him to restore your joy and peace. Read His Word and learn of Him and His beautiful, enduring, patient love for you. Let His words of life change you, recharge you and give you the hope you need to be His ambassador here. Psalm 9:9-10 NIV 9 The Lord is a refuge for the oppressed, a stronghold in times of trouble.10 Those who know your name trust in you, for you, Lord, have never forsaken those who seek you. John 15:4-5 NIV 4 Remain in me, as I also remain in you. 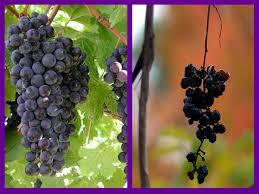 No branch can bear fruit by itself; it must remain in the vine. Neither can you bear fruit unless you remain in me. 5 “I am the vine; you are the branches. If you remain in me and I in you, you will bear much fruit; apart from me you can do nothing. Lord, we come before You and ask that today You turn our hearts back to You. Remind us to seek You when we are spiritually dry and not look to fill our time with worthless things and activities. Restore our joy and peace today as we lean into You and read Your Word. We love You Lord and long to grow into the people You have called us to be. Fill us today with vision for today and the future. We ask it all in the beautiful name of Your Son Jesus, Amen. Do I need MORE to be content? Lately I’ve been enjoying watching some of the home renovation programs on t.v. They tend to inspire me to do creative things in and around my house. I’ve also found, however, that they also create a bit of discontent within me. I find myself wishing we had more expendable income so we could do more. At times, I also find myself becoming discontent with what I have. Though we don’t live in the lap of luxury, we have more than most in this world of ours. We have loads to be grateful for! We have been blessed with so much inside and outside our home. I know there is nothing wrong with wanting to improve things in our lives. Change can be a good thing. Some change can makes our lives easier, more comfortable etc. However, the changes that we want are not always possible. The timing may not be right, the finances may not be there, the person may not be ready etc. The Lord has reminded me, once again, that I must learn to be content with what I have and with the things I cannot change right now. If I allow my discontent to grow, I will find myself envying others and being resentful to those around me. God hasn’t called me to a life of selfish indulgence but to a life of service. When I focus on what I don’t have and not on what I should be grateful for, I become a grumbler. Grumbler’s never accomplish much for the Kingdom! Just read Exodus 16 & 17. If it had not been for Moses, these grumblers would probably still be wandering in the wilderness! I don’t want to grumble, instead I want to live as Paul learned to live. 8 Finally, brothers and sisters, whatever is true, whatever is noble, whatever is right, whatever is pure, whatever is lovely, whatever is admirable—if anything is excellent or praiseworthy-think about such things. 9 Whatever you have learned or received or heard from me, or seen in me—put it into practice. And the God of peace will be with you. I am learning. It is a progress but I do want to learn to be truly content in any circumstance. Not because it makes me more noble or holy. Simply because it is what Jesus calls me to do. When I walk in contentment I am usable for the Kingdom. When I grumble and complain and keep my focus on me me me, I make myself insensitive and unavailable for service. His timing is perfect, mine not so much! 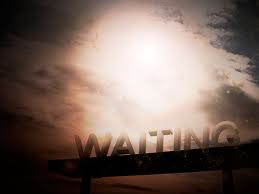 Do you ever get tired of waiting on answered prayer? Do you wonder why God hasn’t responded immediately or at least soon after you made the request? God’s timing is perfect. It doesn’t always feel like it to us, but it is. He knows the beginning from the end and He will answer us when the time is right. I used to get so frustrated waiting on an answer to something that seemed so simple for the Creator of the Universe to do. Why did He make me wait? Thankfully I am a bit better at the waiting now. 😉 I have learned that His timing really is perfect. There have been too many answered prayers in my life that have often happened at what seemed like a minute to midnight, for me not to have learned I can trust Him completely! 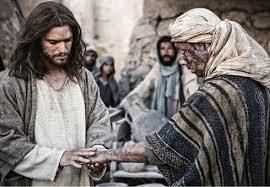 I have also learned that if I submit to Him during those times of waiting He will use that time to make me more like His Son. It is during those times that I learn patience and often long suffering. These two fruits of the Spirit are seldom, if ever, developed in times of comfort. Isaiah 40:31 NIV 31 But those who hope in the Lord will re new their strength. They will soar on wings like eagles; they will run and not grow weary, they will walk and not be faint. Lamentations 3:25-26 NIV 25 The Lord is good to those whose hope is in him,to the one who seeks Him; 26 it is good to wait quietly for the salvation of the Lord. Isaiah 64:4 NIV 4 Since ancient times no one has heard, no ear has perceived, no eye has seen any God besides you, who acts on behalf of those who wait for Him. Psalm 27:14 NIV 14 Wait for the Lord; be strong and take heart and wait for the Lord. Ecclesiastes 3:1 NIV 3 There is a time for everything, and a season for every activity under the heavens. 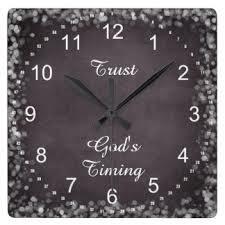 Habakkuk 2:3 NIV 3 For the revelation awaits an appointed time; it speaks of the end and will not prove false. Proverbs 3:5-6 NIV 5 Trust in the Lord with all your heart and lean not on your own understanding;6 in all your ways submit to him, and he will make your paths straight. Psalm 33:20-22 NIV 20 We wait in hope for the Lord; he is our help and our shield.21 In him our hearts rejoice, for we trust in his holy name. Psalm 27:13-14 NIV 13 I remain confident of this: I will see the goodness of the Lord in the land of the living. Father, we ask that you help us trust You and remain steadfast in our walk with You while we wait on You for our answer. Just like millions before us, You will answer our prayer in Your time and according to Your will. Please use this time of waiting to grow me more like Jesus. Help me allow the Holy Spirit to move in and through me during this time and not grumble or complain. Thank You Father! I ask this now in the precious name of Jesus, Amen. After chatting with a new Christian yesterday, I once again realized the absolute importance of studying the Bible. If we Christians don’t know the Word of God we are vulnerable to falling prey to all types of false doctrine. We not only run the risk of being lead astray but also run the risk of leading others astray. We are followers of Christ and therefore must know our bibles. Our bibles are the basis of our faith. It is in the Word of God that we learn of who God is, who Christ is and who the Holy Spirit is. We also learn what Christ has done for us. If we call our self a Christian, it is impossible to separate ourselves from the source of our faith, the Word of God. If we do, than we are Christians in name only. The young woman I spoke with yesterday was stunned when I told her that the bible tells us Jesus is the ONLY way to Heaven. She said she had no idea that was true. When I mentioned that as a follower of Christ we believe the Word of God and that I wasn’t making it up, the Word of God is very specific about Jesus being the ONLY way. If you believe there is any other way to salvation than you cannot call yourself a Christian because the definition of a Christian is a follower of Christ and a believer of His teachings. 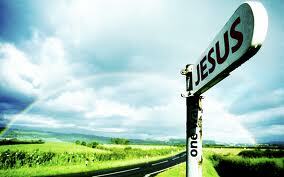 It was Jesus Himself who told us in John 14: 6-12 NKJV 6 Jesus said to him, “I am the way, the truth, and the life. No one comes to the Father except through Me.7 “If you had known Me, you would have known My Father also; and from now on you know Him and have seen Him.”8 Philip said to Him, “Lord, show us the Father, and it is sufficient for us.”9 Jesus said to him, “Have I been with you so long, and yet you have not known Me, Philip? He who has seen Me has seen the Father; so how can you say, ‘Show us the Father’? 10 Do you not believe that I am in the Father, and the Father in Me? The words that I speak to you I do not speak on My own authority; but the Father who dwells in Me does the works. 11 Believe Me that I am in the Father and the Father in Me, or else believe Me for the sake of the works themselves.12 “Most assuredly, I say to you, he who believes in Me, the works that I do he will do also; and greater works than these he will do, because I go to My Father. 13 And whatever you ask in My name, that I will do, that the Father may be glorified in the Son. 14 If you ask anything in My name, I will do it. The Old Testament foretells of the coming of the Messiah and the New Testament tells us of His arrival. Both are full of Christ. It is so important that if we have made a decision to follow Christ that we learn of Him and know what He has done and continues to do for us! If you are believing anything other than what the Word of God says about Christ and His position as Savior, Lord and coming King, than you are either mislead or you are ignorant of His true identity and you need to spend more time in His Word. Let’s look at just a few verses that tell us just who He is and what He has done..
1 Corinthians 15:1-28 NIV 15 Now, brothers and sisters, I want to remind you of the gospel I preached to you, which you received and on which you have taken your stand. 2 By this gospel you are saved, if you hold firmly to the word I preached to you. Otherwise, you have believed in vain. 3 For what I received I passed on to you as of first importance: that Christ died for our sins according to the Scriptures, 4 that he was buried, that he was raised on the third day according to the Scriptures, 5 and that he appeared to Cephas, and then to the Twelve. 6 After that, he appeared to more than five hundred of the brothers and sisters at the same time, most of whom are still living, though some have fallen asleep. 7 Then he appeared to James, then to all the apostles, 8 and last of all he appeared to me also, as to one abnormally born. 9 For I am the least of the apostles and do not even deserve to be called an apostle, because I persecuted the church of God. 10 But by the grace of God I am what I am, and his grace to me was not without effect. No, I worked harder than all of them—yet not I, but the grace of God that was with me. 11 Whether, then, it is I or they, this is what we preach, and this is what you believed. 12 But if it is preached that Christ has been raised from the dead, how can some of you say that there is no resurrection of the dead? 13 If there is no resurrection of the dead, then not even Christ has been raised. 14 And if Christ has not been raised, our preaching is useless and so is your faith. 15 More than that, we are then found to be false witnesses about God, for we have testified about God that he raised Christ from the dead. But he did not raise him if in fact the dead are not raised. 16 For if the dead are not raised, then Christ has not been raised either. 17 And if Christ has not been raised, your faith is futile; you are still in your sins. 18 Then those also who have fallen asleep in Christ are lost.19 If only for this life we have hope in Christ, we are of all people most to be pitied. 20 But Christ has indeed been raised from the dead, the first fruits of those who have fallen asleep.21 For since death came through a man, the resurrection of the dead comes also through a man. 22 For as in Adam all die, so in Christ all will be made alive. 23 But each in turn: Christ, the firstfruits; then, when he comes, those who belong to him. 24 Then the end will come, when he hands over the kingdom to God the Father after he has destroyed all dominion, authority and power. 25 For he must reign until he has put all his enemies under his feet. 26 The last enemy to be destroyed is death.27 For he “has put everything under his feet.” Now when it says that “everything” has been put under him, it is clear that this does not include God himself, who put everything under Christ. 28 When he has done this, then the Son himself will be made subject to him who put everything under him, so that God may be all in all. Romans 3:21-26 NIV 21 But now apart from the law the righteousness of God has been made known, to which the Law and the Prophets testify. 22 This righteousness is given through faith in Jesus Christ to all who believe.There is no difference between Jew and Gentile, 23 for all have sinned and fall short of the glory of God, 24 and all are justified freely by his grace through the redemption that came by Christ Jesus.25 God presented Christ as a sacrifice of atonement, through the shedding of his blood—to be received by faith. He did this to demonstrate his righteousness, because in his forbearance he had left the sins committed beforehand unpunished— 26 he did it to demonstrate his righteousness at the present time, so as to be just and the one who justifies those who have faith in Jesus. These are but a few of the many verses in the Bible telling of salvation through Christ alone. There is NO OTHER name by which we can be saved. It is a truth we must know and share with anyone new in the faith or seeking God. Despite the fact it may not be politically correct in the times we are living, it is God’s truth and as a follower of Christ we must share it with those who ask and those who are seeking the truth. It is only through salvation in Christ that they will receive all the promises of God! Father, thank you for Jesus. Thank you for salvation and the opportunity to be adopted into your family through faith in Christ! Please draw us closer to You and give us a hunger for your Word, the Bible, so that we may learn of You and the incredible love You have for each one of us. Keep us from falling prey to false doctrine as we search the scriptures to learn of You and of Christ our precious redeemer, Lord and King. In Jesus’ name, Amen.